For maximum freshness, please keep seed refrigerated in its original packaging until it is time to plant. Sow seeds into pots or modules using standard loam-based seed compost mixed with coarse horticultural sand. Mix to a ratio of 1 part compost to 1 part sand. Cover with coarse horticultural sand and place in a cold frame. Germination takes 2-3 months. Plant seedling singly into 4 inch pots and grow on in a cold frame for a further season before planting out. 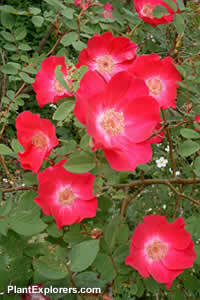 Grow in moderately-fertile, humusy moist but well-drained soil in full sun.